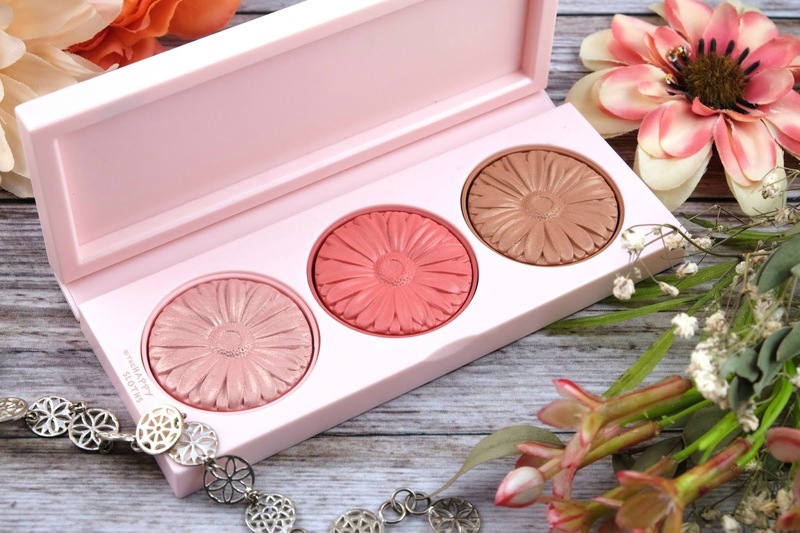 The Clinique Cheek Pop On-The-Glow Trio Palette comes in a pale pink rectangular compact. The plastic palette is lightweight but sturdy and the lid shuts securely with a magnetic closure. Lastly, although the daisy-printed adhesive label beautifully matches the daisy-pressed powders inside, it's definitely prone to wear and tear so I would have preferred a fancier lid design. 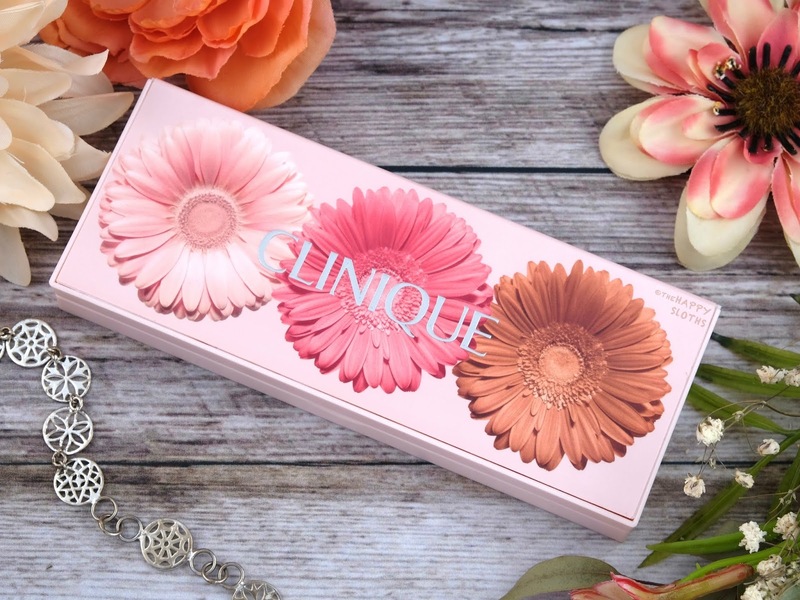 Included in this palette are three full-sized (3.5 g each) Clinique Cheek Pops. "Pearly Pop" is a gorgeous pearlescent pink that reminds me a bit of the Benefit Dandelion Twinkle Highlighter (my all time favorite). 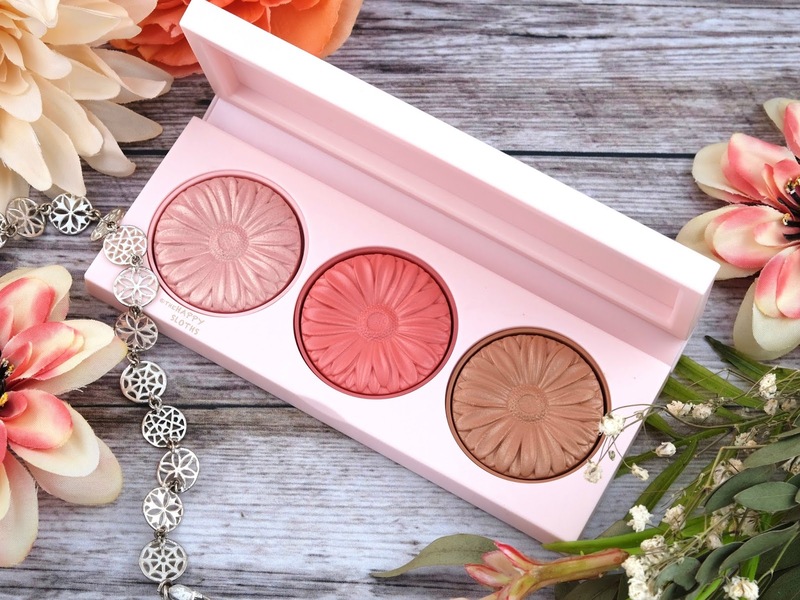 It gives the cheeks a beautiful, natural glow that's not too glittery or sparkly. "Ginger Pop" is a coral orange blush with just a hint of sheen. I'm usually not a fan of oranges or corals but this shade is just so fresh and gorgeous for the spring and summer time. It's worth noting that this is the only shade from the palette that is a pre-existing Cheek Pop color that's available for individual purchase. Lastly, "Sunkissed Pop" is a light warm tan with a soft scatter of iridescent golden shimmers. It's a bit too sparkly for my personal taste but if you like a little shimmer in your bronzer, you will definitely dig it. In terms of formulation, the three shades here are right on par with previously released Clinique Cheek Pops. The silky, baked texture is sheer but the color builds beautifully for a glowy finish that still lets your natural skin tone shine through. 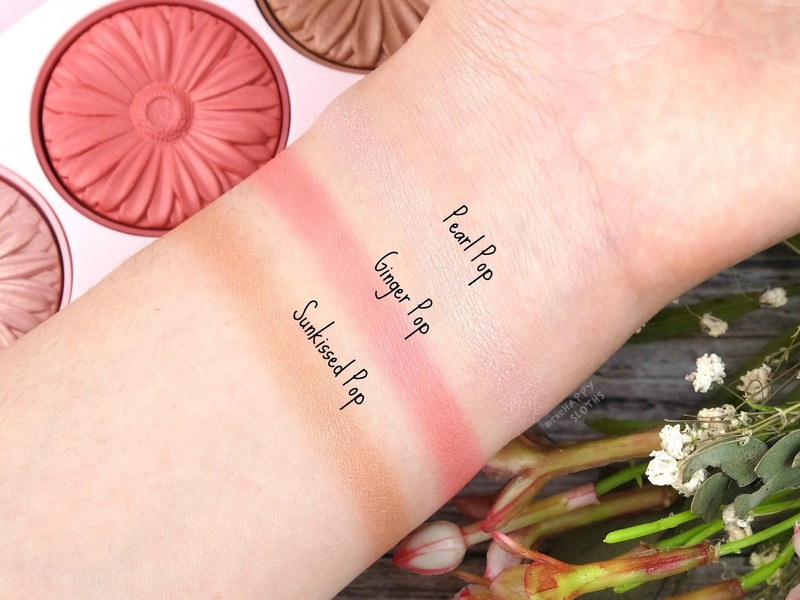 Overall, this is a lovely all-in-one cheek palette with a flattering and fresh color scheme for spring and summer! Do you own any Clinique Cheek Pops? What's your favorite shade? Share with me in the comments below! Clinique is available at Sephora, Shoppers Drug Mart, London Drugs, Hudson's Bay, and www.clinique.ca.